Those of you who follow me on Instagram @whatdidwedoallday are probably not surprised. For those of you who only follow the blog, I am much more active on Instagram lately than in this space. It is a much easier place to share the little moments from day to day. This space is good for the "big idea" times though. Anyway, this was all a big surprise to me. I didn't even know it was "Charlotte Mason" until I had been doing it for months and months. It certainly wasn't a planned transition although it was certainly a child-led transition based on observation and response. Last fall I wrote about how our school year started out with a funky feel and how I fixed it. I provided the boys with more of the types of learning experiences they were craving and asking for and less of the types they weren't. All of a sudden they couldn't get enough literature-based learning. At the same time, all of the things that seemed like "peripherals" in our Montessori-inspired homeschool started to take on a starring role. Our day was chock full of history stories, literature, composer study, poetry, narration, dictation, copywork, picture study, drawing, notebooks full of little bits of our "favorites" from everything we were learning, a notebook full of interesting vocabulary words, Bible reading, hymn studies, Bible verses memorization, living math books, and the study of virtues and/or habits. 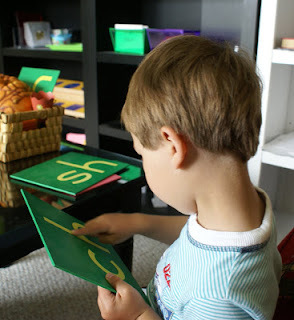 ALL of these things are things I introduced to the boys because of my study of Montessori. All of them are part of a Montessori environment. 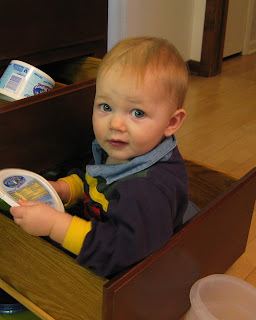 In fact, I'm not sure that what we are doing has "left" Montessori at all. Maybe this is what Montessori looks like as the children approach adolescence? As you run out of "presentations" that have "materials" the elements that remain have their day in the sun. 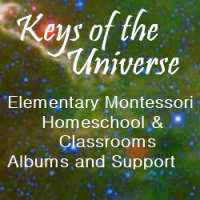 I don't know for sure and the days of "dying to know" what happens now in a "real Montessori environment" are behind me. 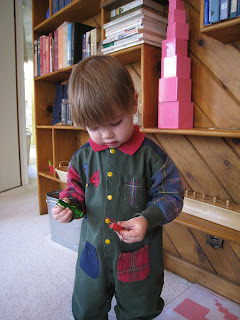 Kal-El will be twelve this December and is nearing the end of "Montessori elementary." Maria Montessori had some very interesting things to say about adolescents, but the path isn't mapped in the same way that it was for the previous developmental stages. We have no plans to move to a farm this year either. 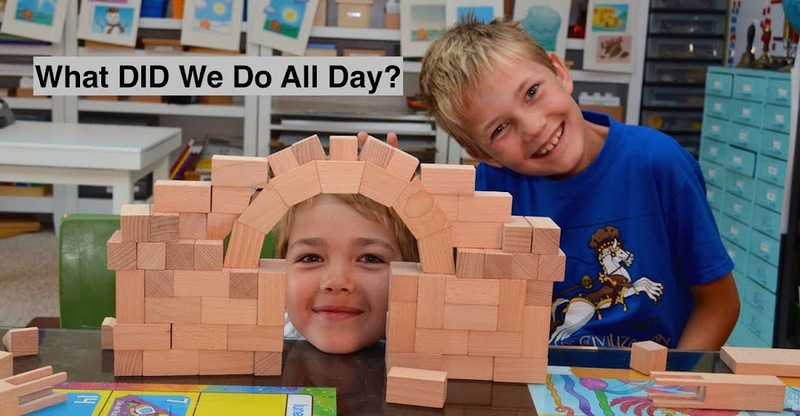 If you would like to learn more about how Montessori can look in adolescence outside of an Erkinder program I recommend looking at the Montessori Rocks website. But even beyond the Montessori crystal ball going dark, I've been teaching the boys at home now with Montessori observation of the child and preparation of the teacher and environment at the heart of our homeschool for many years. I feel good going forward with that observation and preparation as my guide regardless of what the result is called or whether it matches what someone else would do. However, I can tell you this, it matches a WHOLE LOT of what the Charlotte Mason method does. I searched to find resources to fill our new needs and little ways to make my life as a their homeschooling guide a little easier. 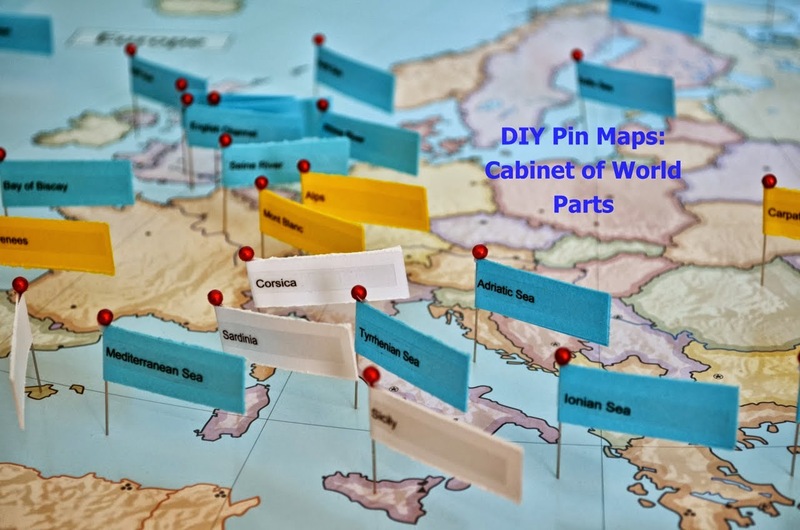 I wasn't confident that I would find any because all of these were areas where I had never found a lot of resources via the Montessori literature I was reading or the Montessori companies I was used to frequenting. 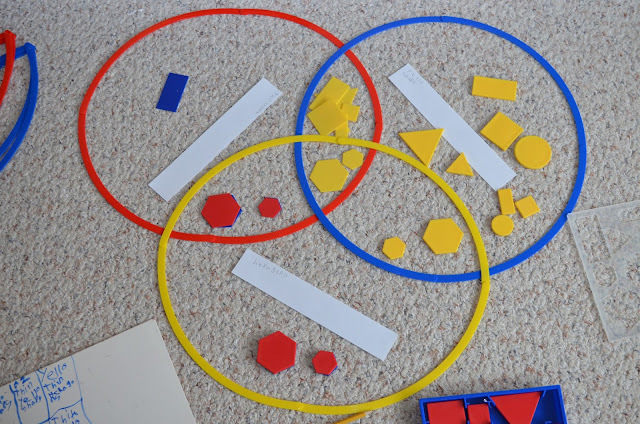 I have a theory I am nurturing that these elements play a big part in a Montessori environment but are talked about less simply because they lack special "materials." I wonder if because they take up so few album pages in relation to presentations that have "materials" they look less important on paper. I have a feeling trained Montessori elementary guides have been taught the place of these elements in the environment but their training, specific to multi-age classrooms of thirty, wouldn't translate to the homeschool if they did try to pass it on. I don't know, it's just a theory. Despite my misgivings I did find a lot of help, but over time I realized all the help I was finding had "Charlotte Mason" written on it. So, I found some things to read about Charlotte Mason. I have to say I am confused. How did she know how *I* was going to want to homeschool *my* kids? I have no intention of attempting to become an expert on Charlotte Mason, but I do enjoy reading about how to do the jobs I do as a mother, wife, and teacher better. I am finding myself continually excited to find interesting writings that apply so specifically to the things I do with my boys every day. As I do this reading I keep thinking things like "I wish I had know about that resource/company when I was looking for Montessori picture study help," "I wish I had known this information about fitting habit formation into a Montessori homeschool," or, "I wish I had this training in teaching my Montessori child narration." So, I will continue to share on Instagram and, when I have something bigger to say, here on the blog. Is it Montessori? Is it Mason? I don't know. I have to say that I think that anyone who carefully observes children is bound to reach some conclusions in common. I've also said it before that a Montessori homeschool isn't going to look like a Montessori school and maybe that makes it look a lot more like Charlotte Mason sometimes. I'm not actively "trying" to emulate a Charlotte Mason homeschool. 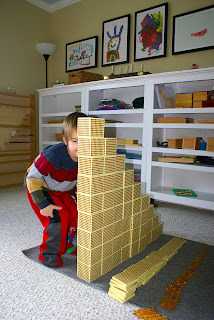 We have been a Montessori-inspired homeschool for a very long time and this is just what grew from that. 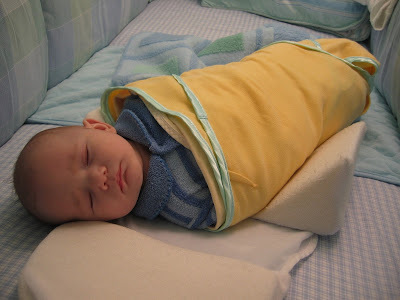 There are hints of all the Charlotte Mason we do in the Montessori literature and there are hints of Montessori things we do in the Charlotte Mason literature. There are Charlotte Mason purists just as there are Montessori purists and I'm sure I will make neither of those groups happy. 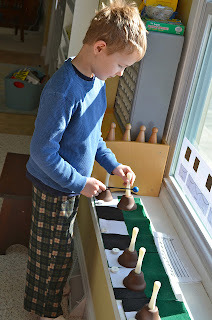 For those of you who have Montessori-inspired homeschools or even Montessori classrooms, I plan to share those resources that I wish I had earlier in our Montessori primary and elementary journeys. I hope they can be some help to you if you can get past the fact that the books and companies may have the words "Charlotte Mason" in the title. There are probably some of you who have been following Charlotte Mason's methods all along and taking some inspiration here regardless. 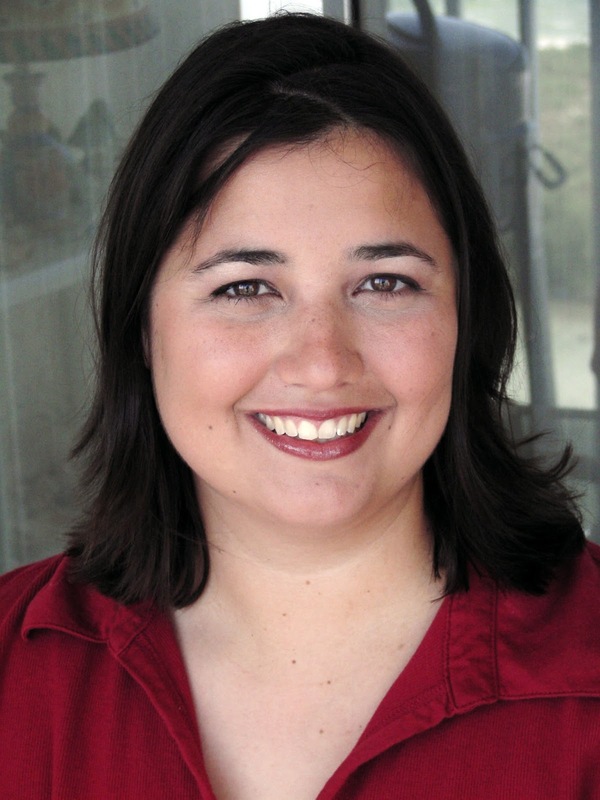 I love hearing anyone's Montessori story or Mason story or any story in-between so I hope that some of you will share those with me in the comments. This photo is just snippet of one of the bookcases in our family room. 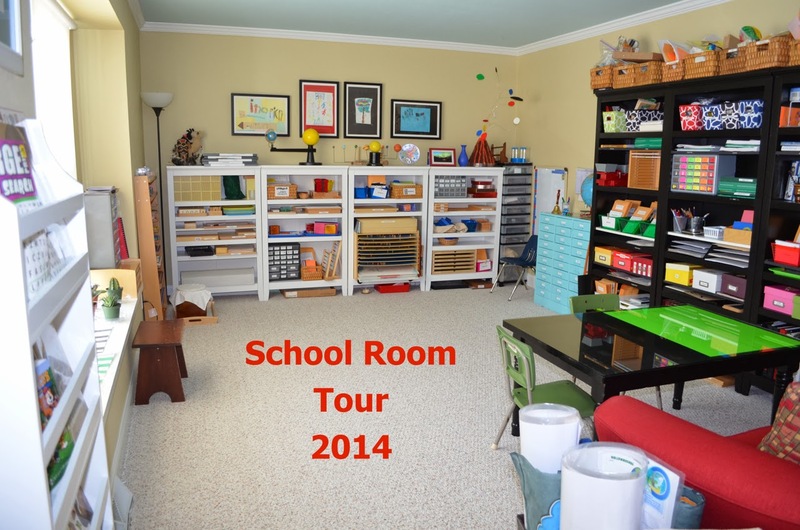 As indicated in this post, our Montessori homeschool is following more of a Charlotte Mason structure this year. Our work period now consists of three distinct blocks of time: family work, guided work, and individual work. We start our morning with our family work which some call morning time. After our Family work is completed the boys eat a quick snack. Then, one child starts independent work while the other child starts guided work with me. Then, we switch. Kal-El gets mom first on even days, Me Too on odd. Most of this work consists of things that have been on their work plans in the past. I just restructured things this year so that all the things we can do together are lumped at the start of our day. 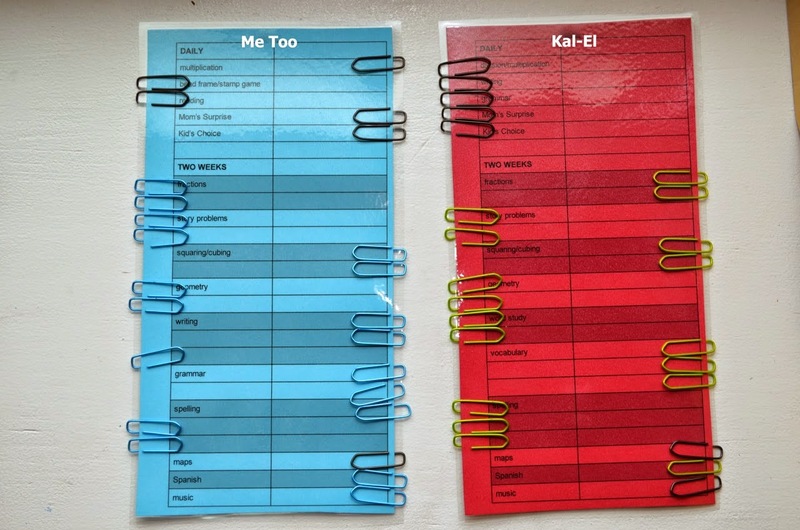 I also separated the things they needed to do separately from each other but with mom or things I wanted to keep an eye on from things they could do completely alone. In January I talked about how we added purposeful time with scripture to the beginning of our day. Today I wanted to share some of the resources we've been using during that time (affiliate links are included with most for your convenience). This segment of our morning time/family work includes scripture memory, reading from the Bible, hymn study, and prayer. We start with scripture memory. We are by no means keeping up with the Awana kids, but I did want a more organized approach to our memory work than we had in the past. I decided I wanted to start with perhaps the 100 most-beloved Bible verses. 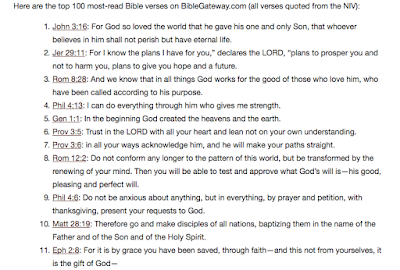 To keep it simple, I went with a a list of "The 100 Most -Read Bible Verses at BibleGateway.com." We are learning them in order. Everyday the boys take turns reciting the one's that we have mastered. 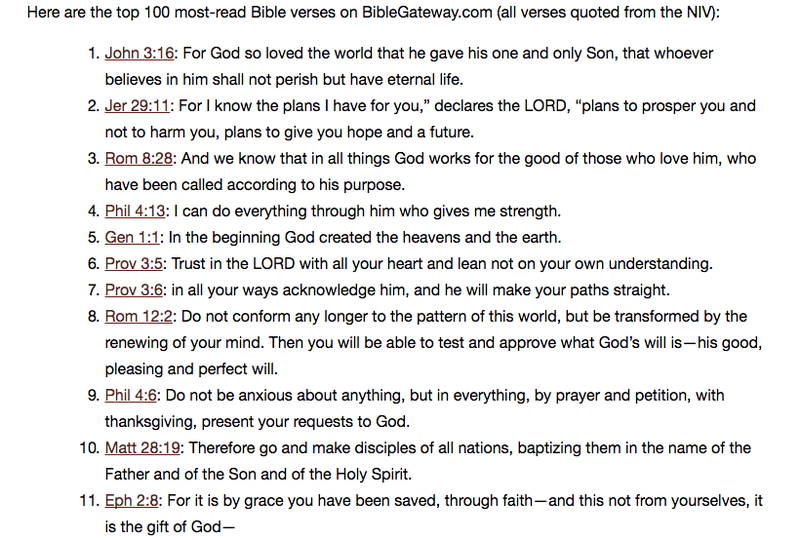 The verses on the page I linked are NIV. We read daily from an NIV Bible but prefer to memorize Old King James because the rhythm makes them easier to memorize. So, I copied the verses by hand on to index cards using the King James and numbered each card at the bottom. I keep them in the pink index card box on the bookcase in the picture at the top of this post. Kal-El recites the odd cards on odd days; Me Too recites the odd cards on even days. Kal-El checks Me Too's work and vice-versa. Right now we only know about 13 of these and it only takes a few minutes. We'll have to see what happens as the list gets longer. 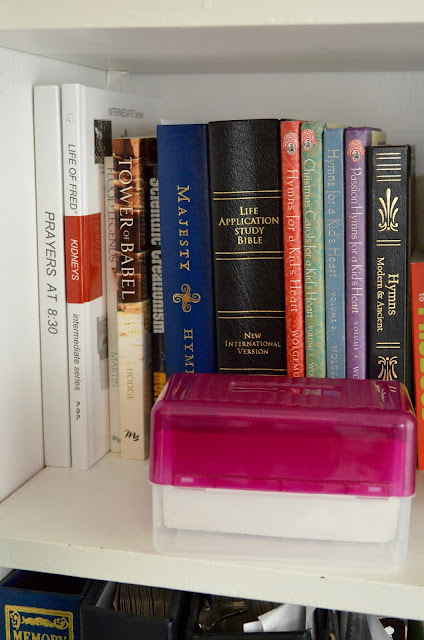 Next, we read a chapter of the Bible from this NIV, Life Application Study Bible. My husband likes his Bible to have as few "extras" as possible. They boys and I on the other hand love all the footnotes. When Me Too picked his own NIrV Bible, he was adamant that it have "footnotes" and a soft "leather" cover like mom's (Kal-El's hardcover keeps separating from the spine). He picked the Kids' Quest Study Bible. At any rate, when I am reading to the kids it is really nice to be able to glance down at a footnote when Jesus does something confusing like command a fig tree to wither and die and explain what just happened. I feel like our family Bible has never failed to have a footnote when I've needed one. We are not reading the Bible in any particular order right now. We read a chapter a day most days and we read a full book before moving on to another one. They boys have been picking which book to read next usually based on something they are interested in. They chose Matthew about a month ago and we've decided to continue in the Gospels leading up to Easter. However, they are adamant that we read Judges after that. This is the boys' favorite part of the day. They always say "more please" when I stop reading. I love that they demonstrate an attitude that seems to say "this is the most important book in the world and the things in it are the most important things we will learn." I'm not even sure how that happened. Next we study a hymn. One I thing I do is own a copy of the two hymnals our church regularly uses. I take mine to church even though they have them in the pews and I put a check mark next to the hymns every time they sing them. That way I can remember which hymns are popular at our church and can make sure they know them for when they start attending the adult service rather than children's church (seventh grade). Our church uses Majesty Hymns and Hymns Modern and Ancient. I used our family address stamp to mark the inside of the front cover in case I leave them on accident. I also noticed our church only owned Majesty Hymns in red so I bought a blue one. We have been singing straight out of the hymnals. However I recently discovered a resource for hymn study that I really love. I bought all four volumes of Hymn's for a Kid's Heart. I love that the title reminds me of another favorite resource of mine, Honey for a Child's Heart (literature recommendations complied by a Christian.). But I really love is that each hymn is introduced with a story, often a story about a child. 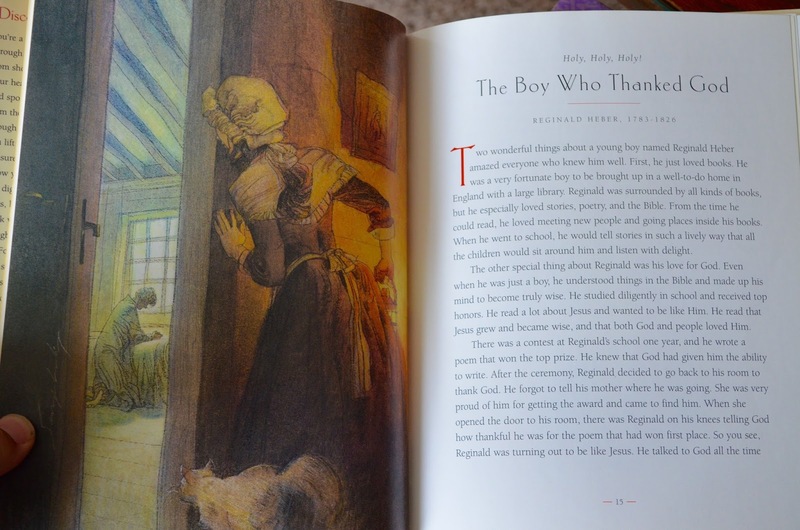 For example, in volume one they introduce Holy, Holy, Holy with a story called "The Boy Who Thanked God" about the composer of the hymn as a child. There is often a separate devotional story in addition. There are beautiful illustrations. They provide several Bible versus that relate to the hymn and a prayer that relates to the message of the story. 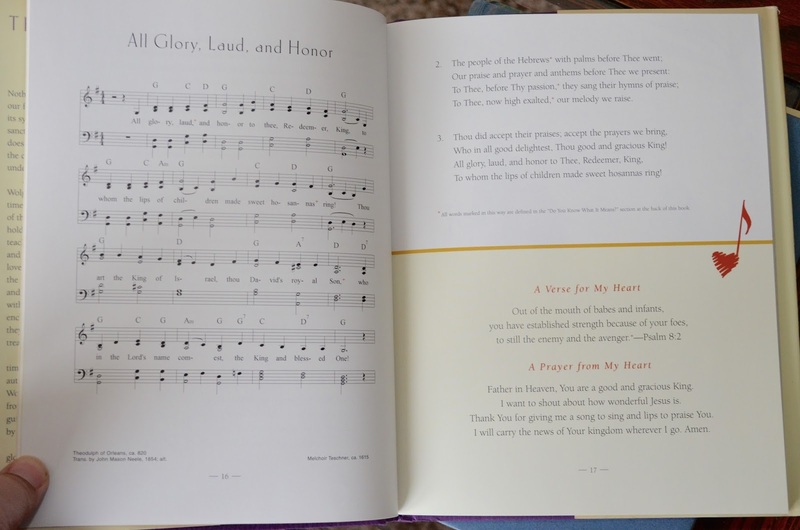 They also provide the complete four-part sheet music (so your child can learn to follow a regular hymnal) and all of the verses. Each book also comes with a CD that has children (children's choir and soloists) singing the hymns with full orchestral accompaniment. The boys feel they are "very grand" arrangements. They like grand arrangements. As part of preparing our hearts for Easter, we chose to begin working in Volume Four today, Passion. Coincidentally we had just read about Palm Sunday in the book of Mark and the story was about the role of children on the original Palm Sunday and the special power a child praising God has to silence Satan. We sang "All Glory, Laud and Honor." 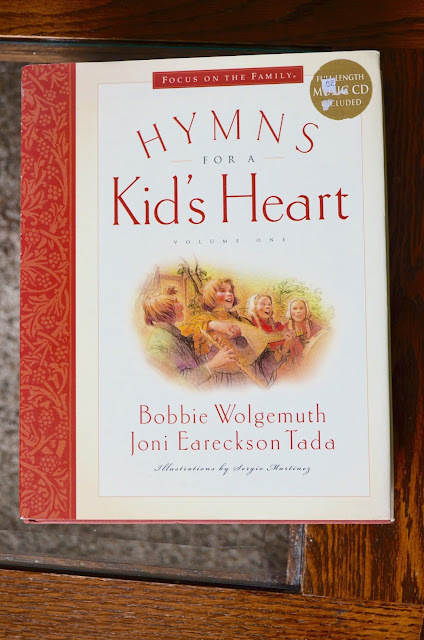 Separate from the check marks I make in my hymnals at church, I had been compiling a list I call "hymns I think my kids should know no matter what." I can happily report that nearly every hymn that was on my list to date is included in these books already. We sing the same hymn for as many days as it takes until they seem to know it comfortably but not necessarily have the lyrics memorized. I like that these books have so many different elements so I can split them up and do a different element each day for a while. So that we don't forget what we've learned, whenever repeating the newest hymn yet again seems a little stale I let the boys pick one of the hymns we've already learned instead (Kal-El on odd days, Me Too on even days. Are you sensing a trend here?). Finally, we close with a prayer. It could be the one in the hymn book, or a spontaneous prayer said by one of us. However, if you are looking for an unusual resource for some thought-provoking prayers I can suggest "Prayers at 8:30" by Stan Schmidt, the author of the Life of Fred math series. It has 104 unusual prayers each with an illustration. You can read more about it through the link and on that page there is a link that provides sample pages. EDITED TO ADD: Thanks to my current blog crush, Farmhouse Schoolhouse (be sure to check her out on Instagram as well), I was recently made aware of two new resources: Rich and Rooted Passover, and Slow and Sacred Advent. These two e-books by Jennifer Naraki look like a great way to guide some of your scripture time during these seasons. You can view a sample page of Rich and Rooted Passover here. 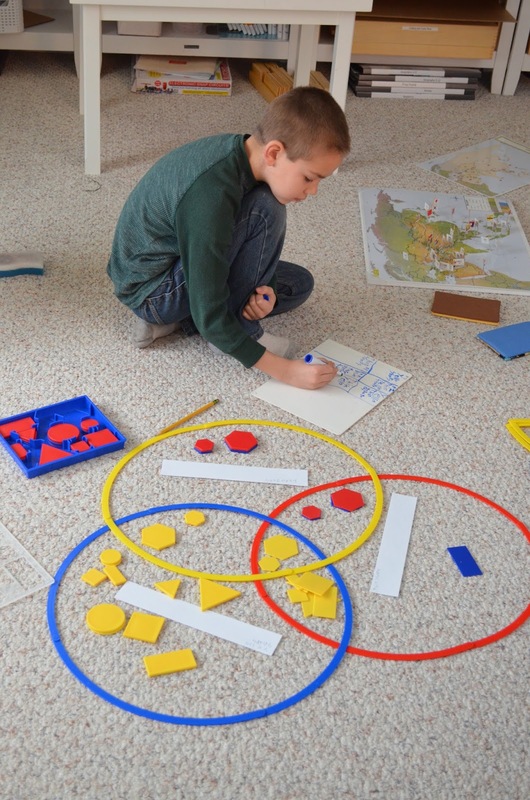 Here Me Too is working on "attributes" work (set theory, patterning, deductive reasoning). 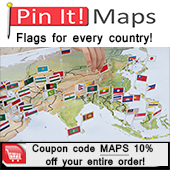 You can see behind him Kal-El is working on the flags of Asia with our Pin It! Maps. We have these sorting circles. You could use yarn, ribbon or string. We also have these Attribute Blocks. I can't think of a way around needing those if you are supplementing your homeschool with this work. The circles have a 20" diameter and are collapsible. There are 60 blocks in the block set. 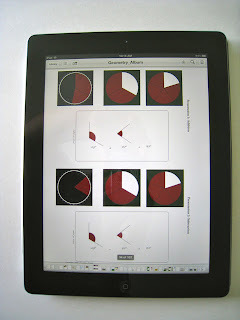 They consist of five shapes in three colors, two sizes, and two thicknesses. Our larger pieces are about 3" x 3". You can get a "jumbo" version of this set with bigger blocks but I don't know how full your circles would get when you use a lot of pieces at once. 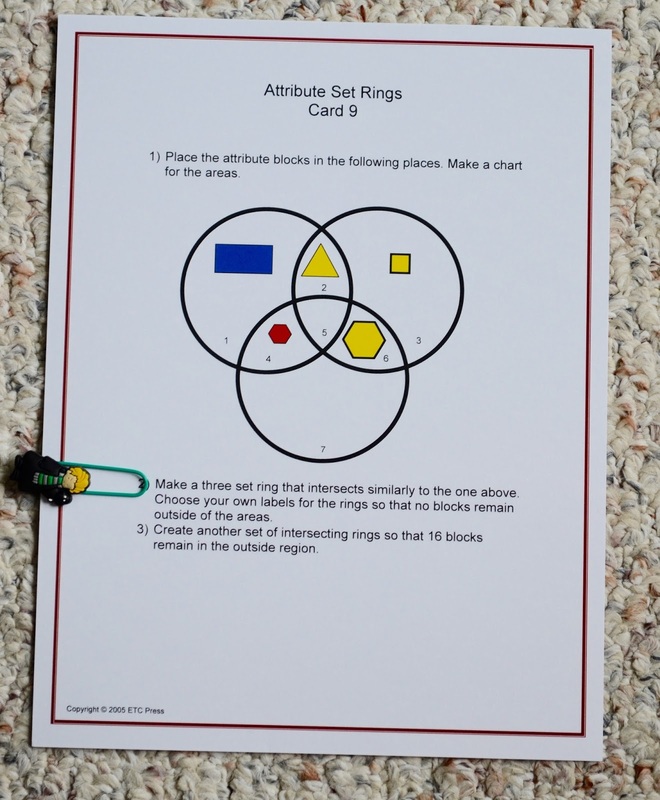 We use our sets with task cards from ETC Montessori. The boys completed the lower elementary set in the fall and I think they started the upper elementary after Christmas. The lower elementary set has the advantage of coming with a small teacher's album of sorts including presentations. It is not a perfect material. It worked well enough. However, some things were very poorly thought out. For example, it comes with "H mats" and grids (2x2, 4x4) to place your block on but the squares for placing your blocks are smaller than the blocks. Also, there is a game at the end that is unplayable. It seems like nobody actually tried to USE the material. The upper elementary set doesn't come with a manual. I called about this and they said "the instructions are on the cards." Sort of. Some cards make more sense than others. Also, it seems from the cards that these should have come with a set of labels for choosing labels for your rings but didn't include any. We write them on paper or on little dry erase boards which they prefer. Check out the cute paper clip! A company named Avirgo sells these on Amazon. We use them to keep the boys places in card sets as they work through them. The have dozens of different kinds. We have Star Wars , Minions , and Harry Potter. The card tells him to place certain blocks in the circles as drawn. The thickness of the outline tells you if it is thin or thick. If you are teaching a kid to do these, it is important that the next step be labelling the circles. Sometimes Me Too tries to add the remaining blocks as instructed because it doesn't tell you to make the labels. This can go very wrong very fast. If they place the selected blocks, label, THEN add blocks it goes perfectly.